Say hello to this little gal, who loves dressing up in her red panda outfit! She's part of Sweet Softies' new 'Darling Dolls Collectible Series'! 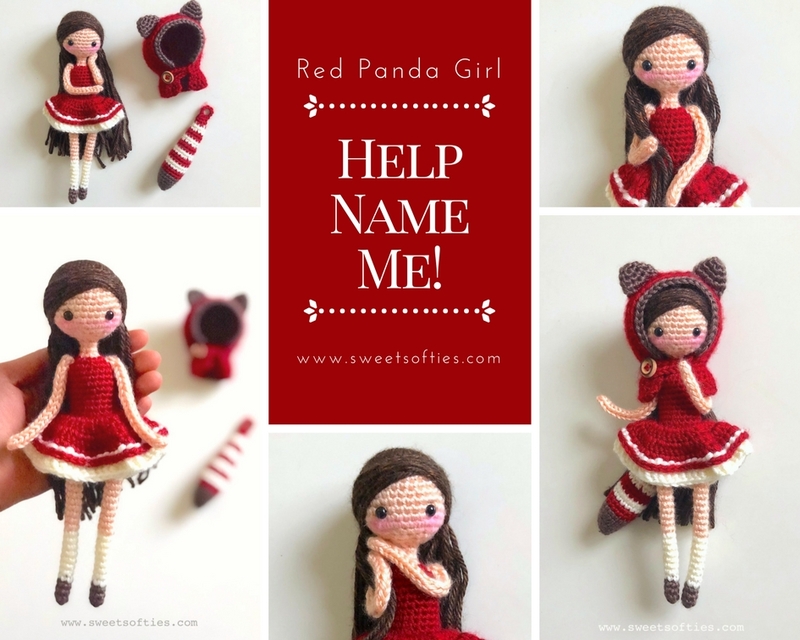 I tend to use alliteration when naming my designs, and was thinking of a name beginning with either "R" or "P" (for "red panda"). I have an affinity for the following: Rae, Rhea, Robin, Piper, Pandora. While I quite like those names, I'd love to get other ideas and suggestions, too! If you have thoughts about a name that'd be fitting for her, feel free to share it in the comments below!